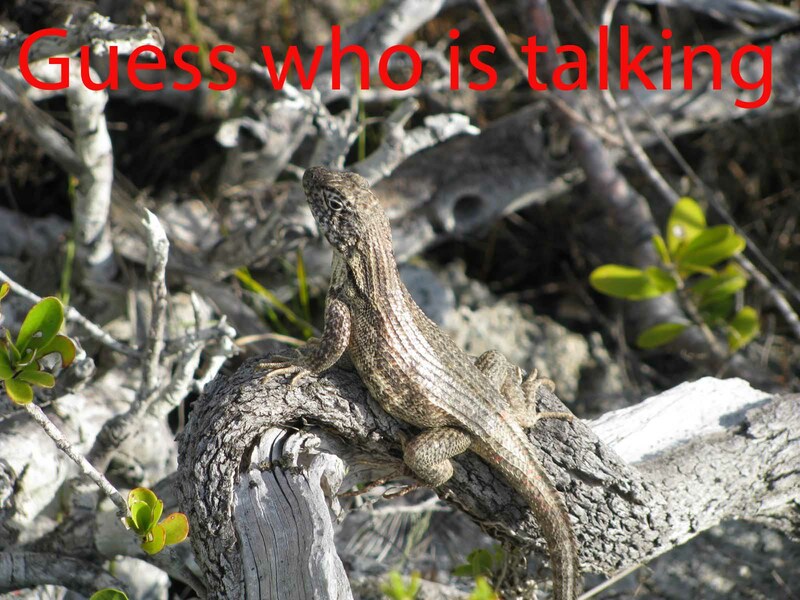 A good number of videos are already transcribed, and we have a few "LIZARD-ISMS" to share with our followers. "It's going to be difficult to get this lizard on video without falling into the ocean ..... but I'm going to try." "Jump, Jump, Jump, Run, Jump, Oh my God, Jump ......."
"There's a branch in my stomach and it's probably poisonwood." "No, no .... there was a noise after the spitting out spider webs." "Jeeze, there's another male! They're everywhere!" "I'm getting a leg workout right now." "I can feel the sweat rolling down my back .. it's gross." "Alright, you better stay here for at least 5 minutes or you're going to die......just kidding ..she's too cute to harm." hi guys. first time/long time. love the blog. but one suggestion. more action photos of dave in his bathing suit. he's like a tan charles darwin. KUTGW!